Ships from and sold by EP Pro!!. 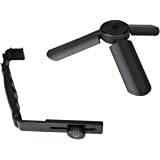 Sold by Jansite Direct and ships from Amazon Fulfillment. 1/8"-1/8" Patch cable with gold-plated contacts. 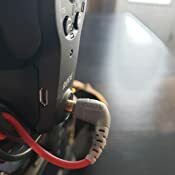 The SC7 is a high-quality shielded patch cable, designed to allow the VideoMic GO and VideoMicro to connect to TRRS compatible devices such as the iPhone or iPad. The gold-plated contacts are color coded, with grey indicating the TRRS output. 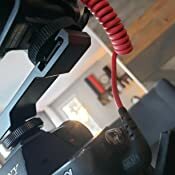 The cable is color matched to the red TRS to TRS cable that is supplied with the VideoMic GO and VideoMicro, and is easily fitted by inserting the TRS (black) jack into the rear of the microphone and the TRRS end (grey) into the smartphone or tablet. Works great, now that I know how it works with my nexus 5 smartphone. 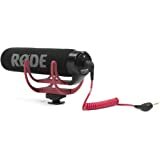 I was trying to get audio directly from my mixer into my nexus 5 and whenever I would plug in the stereo cable from the mixer into the Rode SC4 and the Rode SC4 into my nexus 5, it was still only recording with the nexus 5 built in mic instead of the line-in mic (Rode SC4 adapter). The trick to getting it to work, is plug it almost all the way in, give it a second or two, then plug it in all the way. Doing this ensures that the smartphone recognizes that there is a line-in mic being plugged in and will now use that. 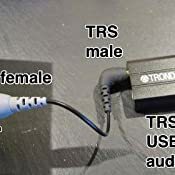 Just remember that as soon as you plug your stereo cable into the Rode SC4 adapter that the STEREO audio signal will be converted to a MONO signal. So if you are using this setup for a facebook live stream for example, maybe keep your stereo/panning fx to a minimum. 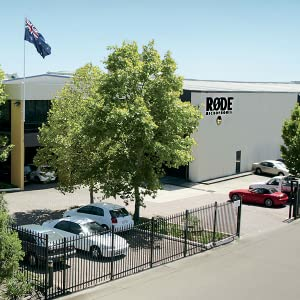 WARNING: This is an adaptor for using a RØDE mono microphone which has a TRRS (4 pin) connector with a TRS device such as a camera or audio recorder. 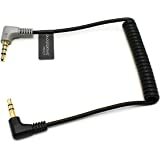 I didn't read the description properly, and thought I was buying the very similar device that carries audio out so you can use TRRS headphones in regular jacks. This adapts the microphone and ground connectors from 4 pin to 3 pin, not the L+R audio and ground from 4 pin to 3 pin. I have not actually reviewed this product so I have rated it 5 as I don't want to down-rate it due to my own error. 2.0 out of 5 starsThis cable shouldn't exist! Ok, so I'll admit I didn't know much about microphones when I bought this. 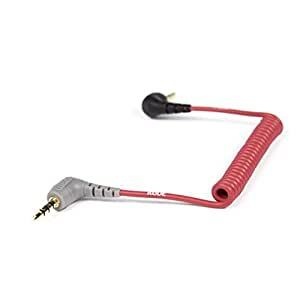 I bought this cable believing that it would give me a way to plug the Rode VideoMicro into my phone and record high quality audio. 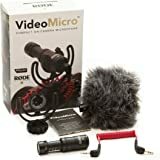 Well, the Rode VideoMicro is a passive mic, and phones/computers don't have (great) microphone amplification circuitry, so what you'll end up with is a quiet audio that needs to be boosted in software. Of course once you start boosting the signal, you end up hearing all that wonderful noise. So why does this cable exist? You shouldn't be plugging your passive mics into phones! 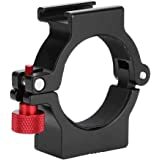 If you REALLY want to try it out, just buy a cheap TRS to TRRS cable elsewhere. This one is overpriced and is not special. I was trying to attach my lavalier mic to my Samsung Galaxy S8 with this adapter. It seems to be a decent quality although quite expensive for what it is. There aren't many other options on the market that have good reviews so I took the plunge with this one. I was using the cheap startech adapter and it was working great until it stopped working. When I first tried this adapter it did not work. I was going to return it to say it was defectiv. when I tried using a stereo lavalier mic It worked fine. I discovered that if you have a mono mic input it does not work. You need a stereo mic. I found a mono to stereo adapter, plugged my mic into that, then into the rode adapter and everything works perfectly. 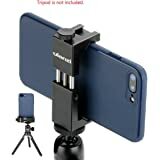 I was about to return this when I discovered that so I am writing this review to let someone else know about this problem who might be struggling like I did. First time I used it, it sounded like garbage and actually set up a return. But then I adjusted my volume levels and it was awesome. Cable is thin and may break but hasn't yet. 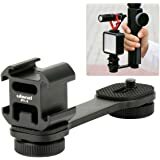 I use it for DjIng on Facebook Live, and so when I moved it to my booth volume and dropped booth volume to 1/4 of max, it was perfect and clear! 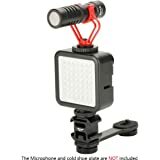 I bought it so I could use my SmartLav+ mic on my DSLR. I remove a star because the adapter should come for free with the SmartLav+, due to its price. 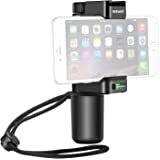 I can say however that it does work with my 4k Panasonic camcorder and my Canon DSLR. 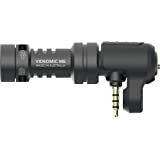 Same for my Zoom H6 recorder. This adapter is expensive and the audio cable is pretty thin, but it does do exactly what it promises. 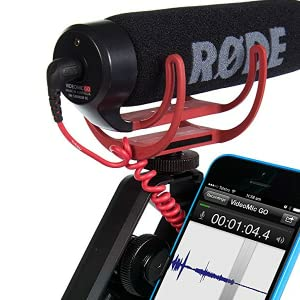 More importantly, it does NOT introduce any extra noise on the video recording when using it with an external mic. I can't say the same about most other audio adapter/extension cables that I've tried.